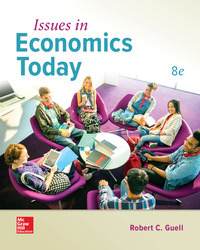 - Includes 8 theory chapters introducing the core topics in microeconomics and macroeconomics, and a selection of 40 short issues chapters, from which instructors can pick and choose - allowing maximum flexibility. - Issues can be organized along themes such as social policy, health and education policy, election year issues, and business issues, or combined with outside content. Chapter 15: Is Economic Stagnation the New Normal? Chapter 17: International Trade: Does it Jeopardize American Jobs? Chapter 21: NAFTA, GATT, WTO: Are Trade Agreements Good for Us?